Often caught in northern Tasmania, the yellowtail kingfish (Seriola lalandi) is thought to be getting more common further south over recent years. Manta birostris spotted off north-east Tasmania on Australia Day 2014. 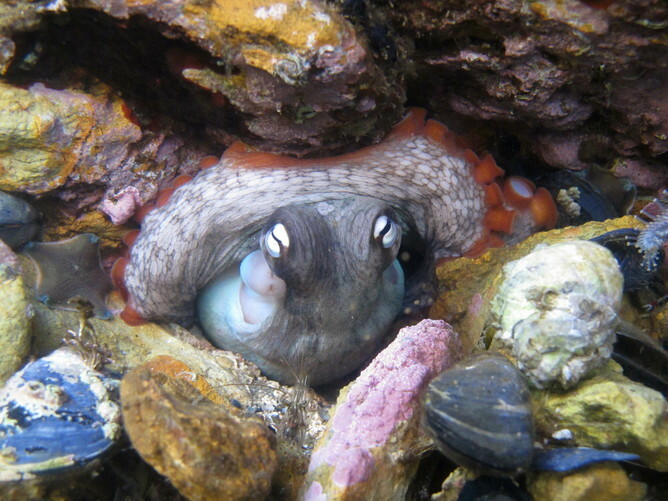 This gloomy octopus (Octopus tetricus) was spotted in the waters near Hobart, well out of its usual home range of NSW.